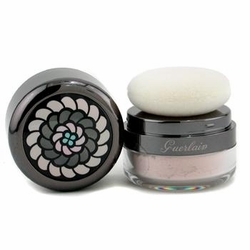 Feather-light loose powder infused with light reflecting pearls. Imparts a radiant shine & blurs imperfections. Creates a matt finish for a perfect complexion. Leaves skin feeling silky soft with delightful scent of violets. Packed in a small pot with a mini soft powder puff. Easy to carry around for re-touch, anywhere, anytime!